The exam room is where most of the interaction between the doctor, patient, and client will occur during an appointment. 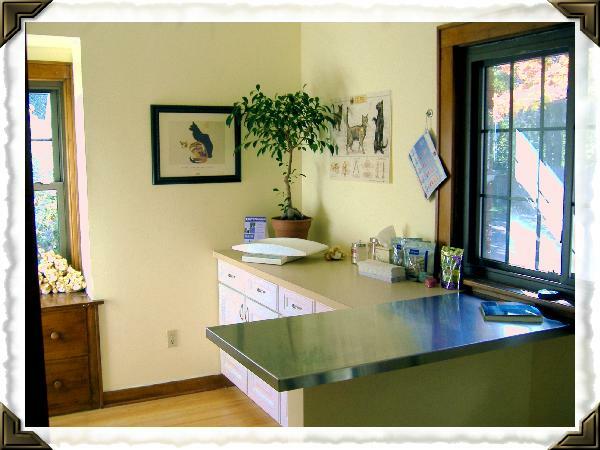 Once you have checked in with our front office staff, you will be shown into an exam room with your pet. This is where you will meet the veterinarian, and where your pet will be examined. Certain minor procedures, such as nail trims or ear cleaning, may be performed in this room as well. We try to provide a comfortable environment for both our patients and clients. If there is anything that you need during your visit, please let one of our staff members know!